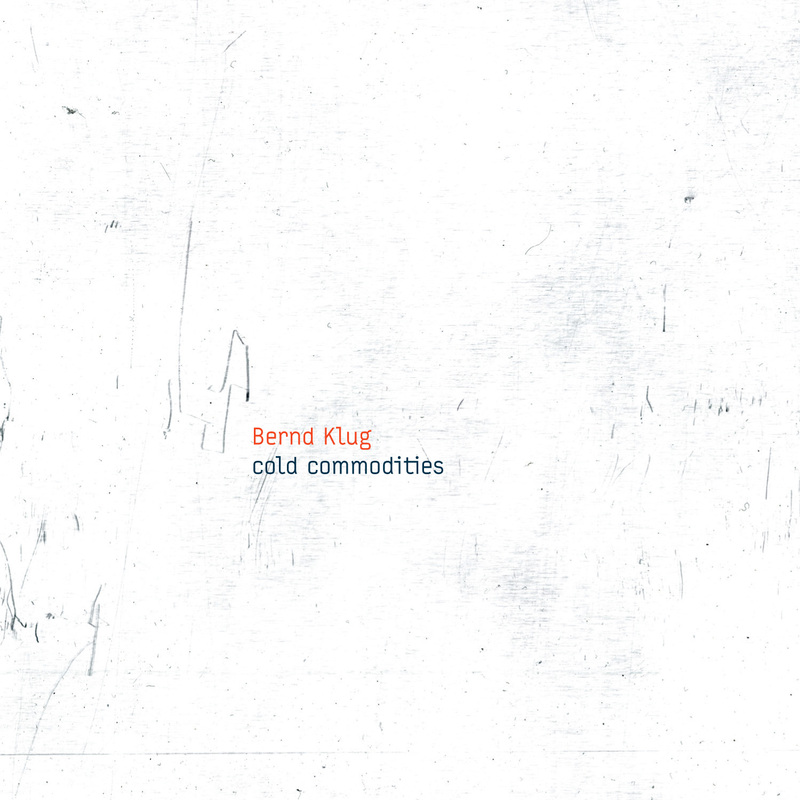 It’s commonplace to refer to records as “meditations” on this or that, but rarely is an album as focused on the sheer physical sound of an instrument as Bernd Klug’s cold commodities is on the bass. This is not a display of mere technical proficiency or virtuosity, nor a merely ornamental appreciation of the instrument in a variety of settings. Instead, Klug places the listener nearly inside the resonating wood of the bass as he invites all the abstract ghosts of the city as collaborating guest artists. Klug writes: “On July 24th 2014 I accidentally erased my hard drive with the magnet of a loudspeaker. There was no backup for any of the recorded work I had made since moving from Vienna to New York in 2011. It was a huge relief for me to lose the connection to my digital practice and identity. That’s one side of the story. Another side is my solo double bass work from 2008 to 2013, which focused on insecurity and sadness as a natural and highly acoustic space. I wanted to see if the outcome would be of any substance. Klug incorporates local police transmissions, his recording device’s CPU, his wireless LAN router, a conversation in front of his window, his neighbor’s Mexican music, sonifications of a satellite dish, data from his US visa application from Austria as “an artist of extraordinary ability”, and other sound sources into his entirely organic double bass (and electric bass on the first track) playing. The end results are hybrid compositions that tell stories about the people and things that surround him, while exploring and mapping the physical world of the bass itself. In this way, cold commodities is the product of years of solo concerts and studio work throughout which Klug developed ways of enabling the bass and its frequencies to ring freely. The record thus brings together his practice as a musician informed by European free improvised music and his engagement with the American art world and installation work. Compellingly personal and yet admirably clinical in its approach to mapping a soundworld, cold commodities is an immersive record that reveals new sonic intricacies with every listen. "[A] dozen imposing sound designs combining dark and sinewy low end resonance with samples of neighbourhood noise ... Fragments of the auditory world attach to the bulk of the bass: sonic dust and fluff cling to its static. Cold Commodities offers plenty of scope for pondering such imaginative qualities of actual things."